It seems I’ve spent the better part of two decades muddling around in the grayness between fact and fiction, which is why the above photograph resonates with me. 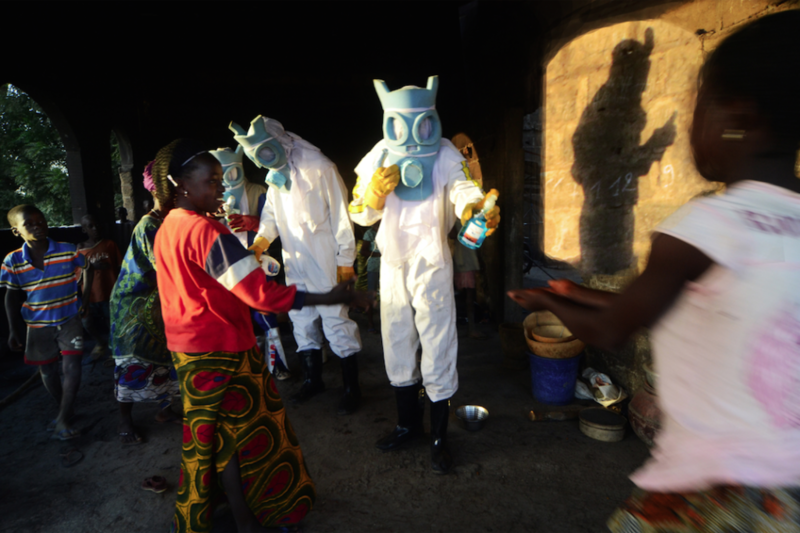 It is an entirely, undeniably true image of the medical interventions during the 2014 Ebola outbreak in Western Africa; yet it is so fabulously absurd that it would be nigh unacceptable if it were presented as fiction. Call it the magic of reality. More about the Biennale Africaine de la Photographie, whose catalogue I had the pleasure of translating, *here*.